The merry minds of Those Awesome Guys bring you good tidings filled with friendship-destroying delight! 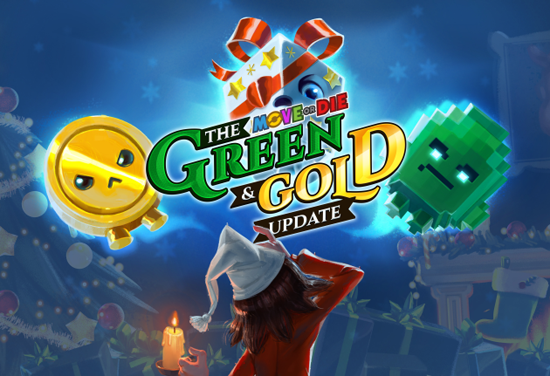 Rejoice as the biggest update for Move or Die – ‘The Green & Gold Update’ – is now available for download on Steam. Behold the myriad of new features in the ‘Green & Gold Update,’ highlighted by the new “Not-A-Store” Item System that completely reinvents how new characters, game modes, Mutators, and other delightful new features are unlocked in the game. To commemorate the launch of this new update and in the spirit of the season, Move or Die is now available for an amazing $5.24 (65% off the regular price).